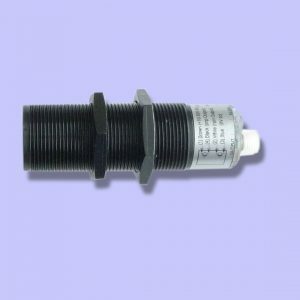 SYNATEL design and produce a range of photoelectric sensors, in different styles and packages, to suit a wide variety of applications. 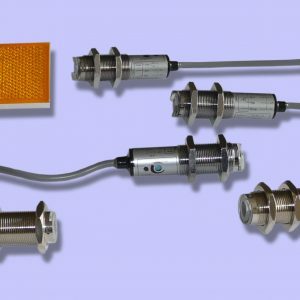 The sensors are available as; throughbeam, reflex or polarised retro-reflex units. Our manufacturing facility also enables us to offer a full bespoke design and manufacturing service allowing for customised or specialised sensors. 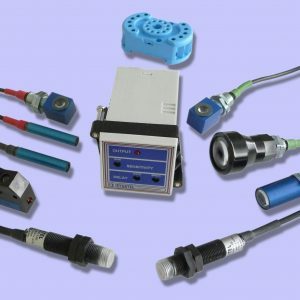 Our range includes Digital displays (electronic counters & tachometers), custom design & consultancy, level controls, speed monitors, photoelectric sensors.most liquids and granulated solids level sensing applications. MINIFLEX PE2FO – a short range adaptable reflex sensor available in visible light format. The unit is ideal for packaging and labelling machines where the focused, short range operation prevents false signalling from nearby background objects. 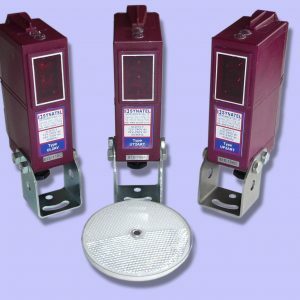 The PB1TS2/C is a broad beam sensor from SYNATELand is typically used on bottling lines. It will work with either glass or plastic containers. The sensor will ignore small gaps between bottles, ideal for use (typically) in queue back applications etc. 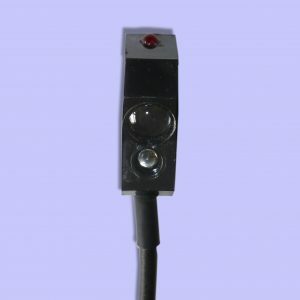 The Optibeam range are a low cost range of 18mm sensors in through beam, non-polarised retro-reflex and reflex formats. These units provide a very cost effective solution to a wide range of different applications throughout industry. Ideal for object detection on conveyors etc. The Modulight PMD3 + associated heads, from SYNATEL, consists of separate sensing heads used with a panel mounted control module. Operating ranges from 20mm to 8 metres. Multiple uses depending upon sensor type used, typically: object detection on conveyors, vehicle/people detection through door ways, product detection on bowl feeders etc.